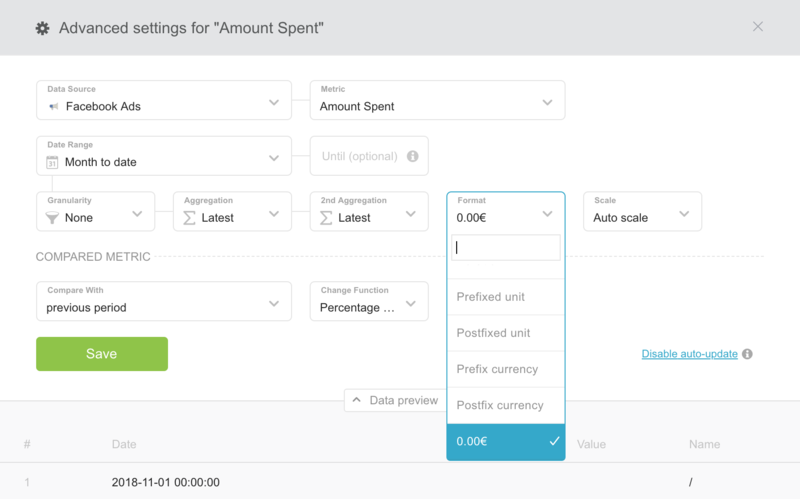 For most of your metrics predefined formats will work fine, but in case you want to modify or create a new custom format, you can add it by typing a new format in the search field of the Format box and pressing Enter to save it. 1. If you set a custom format as: 0.00% you will see this number as 12.30% - all numbers will be shown (including the last "0" number) because you defined two decimal numbers as the format. 2. If you set a custom format #.##% for the same value, you will see this number as 12.3%. In this case, only one decimal number is shown because there are no "0" numbers at the end. - In case your value will have more than two decimals, only two will be shown in both cases. - There is no differences between 0 and # if you don't use decimal numbers. - By using 0 you define a number of decimal places, but always all of defined will be shown. In case you use # there won't be extra decimal numbers shown if there are none in the value. With the default scale and format (e.g. Auto) option, the number “123456” will be displayed as 123,456. Amongst other options you also have the option of setting Scale to “Thousand,” which will display the number as 123k. 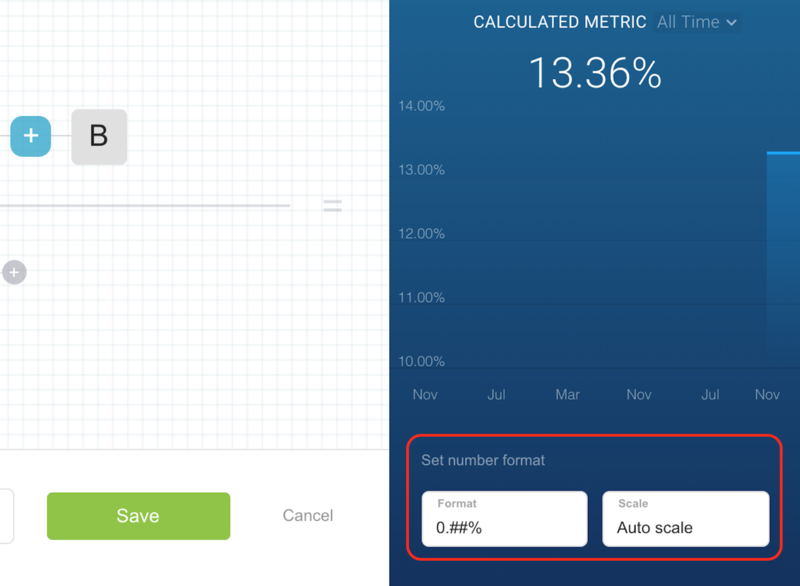 You can also set a Format and Scale for every new metric created through Data Calculations. Please make sure you save the calculated metric after making any changes on format or scale.